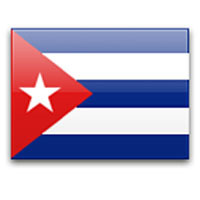 What are some of the important phone numbers one should have when in Cuba? Maybe we can all compile a list together and post them for all to use, as a reference in case of an emergency in Cuba. Monday - Thursday: 8:30a.m. - 5:00p.m. Private visits – Monday, Tuesday, Thursday, Friday: 8:30 a.m. - 10:30 a.m.
Official visits – Monday, Tuesday, Thursday, Friday: 10:30 a.m. - 12:30 p.m.
Closed to the public daily from 12:00 p.m. - 1:00 p.m.
Tuesday, Thursday: 2:00 p.m. - 4:30 p.m. Call collect: 613-996-8885 / 613-944-1310 (TTY) - The Emergency Operations Centre of the Department of Foreign Affairs and International Trade operates 24 hours a day, seven days a week. An experienced officer is always available to respond to emergency calls from anywhere in the world. Keep in mind that an embassy is not really what you want in times of crisis abroad; an embassy deals with state to state affairs, and a consulate is the outfit that (among other things) helps citizens in distress. Obviously in most cases the embassy includes a consular section, but in some countries the consulate in the capital city is in a different building, with different contact info. I guess I’m just saying that the consular section contact info is the one to keep. The Canadian Embassy in Havana has a Consular section and the contact numbers are the same as the Embassy numbers - they’re in the same building. What I do is itemize the various emergency contact numbers and carry two copies. One is on my person when we leave the resort and the other is in our room. Since I’m the one who does all the organizing of travel documents, I make sure I go over the information with my husband so that he knows what to do in case something happens to me and I’m unable to tell where to find necessary numbers. I think this is very important to avoid causing additional stress for a travelling companion if something happens and they don’t know where to find anything. Dialling this number enables you to speak to a consular officer for emergency assistance after hours. to (613) 996-8885 (where available). Great subject jet pilot. Could have used this info 3 years ago. Just to ad my two pennies worth! I’d like to include the link to to the Canadian Goverment foreign affairs and international trade web site. This is the specific link for Cuban advisories / travel reports. it’s regularly updated and includes a wealth of information. You can pretty much find most info on this web site. I travel regularly and I always take the time read the latest info and copy paste the relevent info to my journey from this site. Anyway it can be useful!!! Debbie used to have a section which listed various resorts with e-mail addresses and phone numbers that can be reached from Canada, to be left with relatives at home in case of emergency. Can’t seem to find anything quickly on the new site. I’ll put it as a sticky.